Languages are celebrated on a daily basis at North Bridge House, from the broad MFL curriculum to extra-curricular Chinese Culture, and so it was with great pleasure that NBH Senior Hampstead linguists attended the 2018 European Day of Languages competition at fellow Cognita School, Hydesville Tower. The annual event is always highly anticipated among NBH students, who spent weeks rehearsing for this year’s performances. The students embarked on a bus from London to Birmingham filled with excitement, arriving at Hydesville Tower for more rehearsals and to join Akeley Wood, another Cognita School. 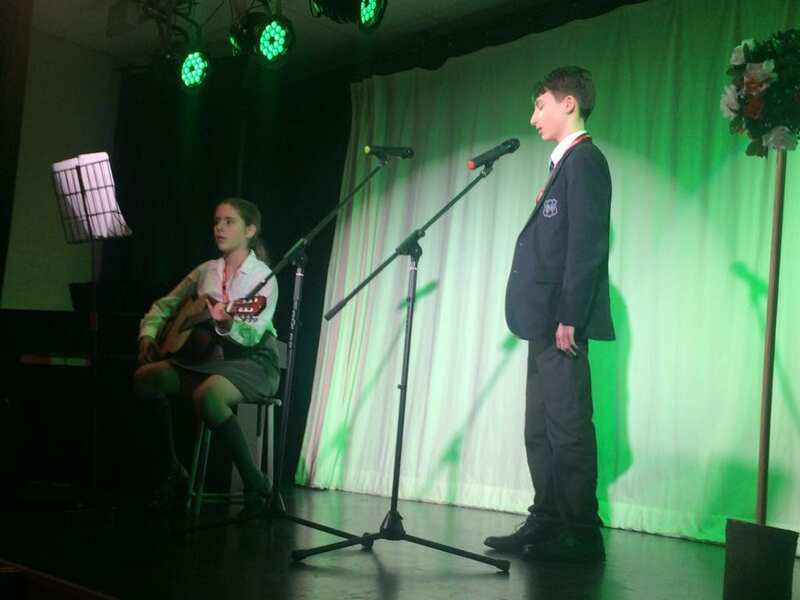 Nerves were also part of the cocktail of emotions we all were experiencing but NBH pupils put their fears aside and performed without hesitation; singing in Spanish and French and playing the guitar and the piano. An impressive demonstration of coordination, courage and authentic foreign accents! Our performers proudly represented NBH Senior School and embraced the opportunity to get to know pupils from other Cognita schools. Well done to all of them for not just their star performances, but for showing great initiative and ambition beyond the standard academic curriculum.